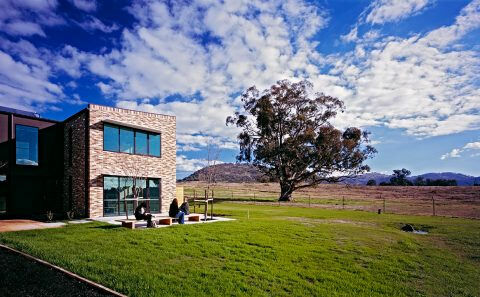 This student accommodation provides residential support for students studying in rural and regional areas to access ongoing studies. The accommodation provides 28 beds, amenities and common areas, kitchenettes and internal dining areas, external breakout space, and car parking. The 28 beds are divided between a pair of two storey buildings set within a new greenfield student accommodation precinct adjacent the main spine of the campus. 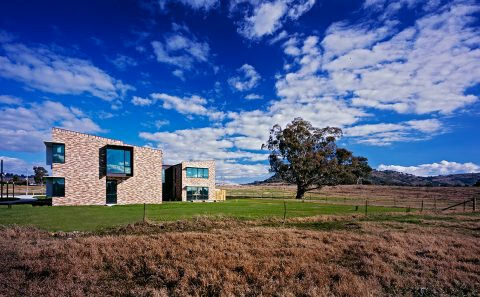 The site provides an idyllic pastoral backdrop with rolling hills, expansive grasslands and aged gum trees. 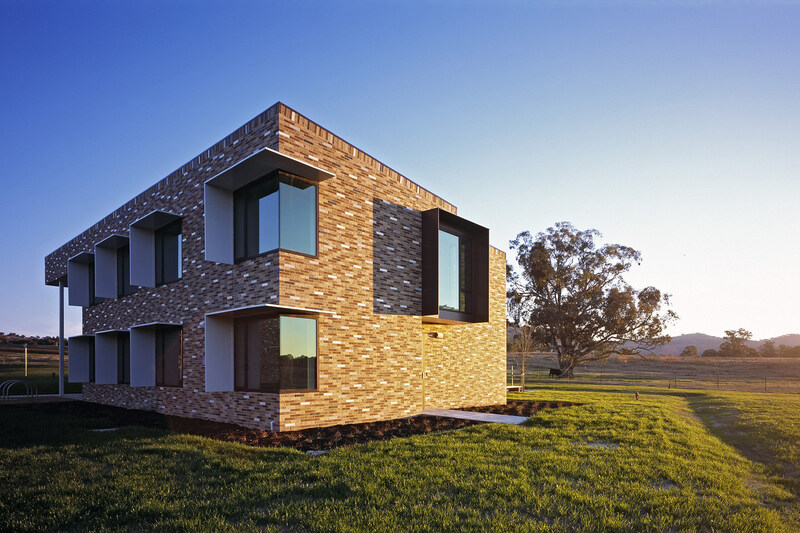 The building material and colour palette reflects the rural context. The design intent is to provide a strong sense of communal space, both within the residential precinct and within each individual housing pod. The bedrooms, support spaces and circulation of each building are arranged around a north facing courtyard with views into the courtyard from living and circulation areas, while individual student bedrooms are located with outward looking views. Large windows in all bedrooms provide natural light, views, and natural ventilation. 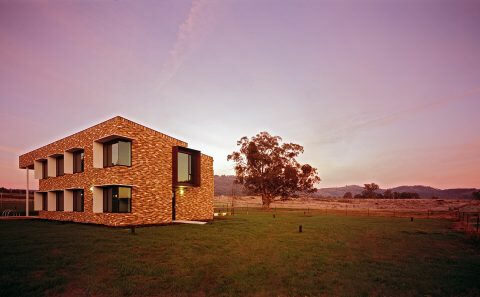 The building is simultaneously etheral and weighty, hard and soft. 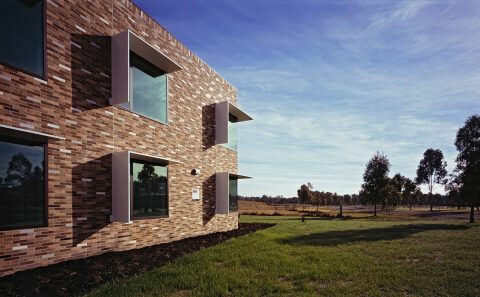 The formal presence of the buildings is featured into the landscape through textures and tones of brickwork.